Do you work with a real standout? Help us find the individuals in the next generation of people who are destined to make an impact on the wood products manufacturing industry in North America. We are seeking disruptors, innovators, rebels, those who have broken the rules or worked out of the box to make our industry - or the world - a better place. (Maybe it’s you!) This could be someone who’s come up with a killer idea, a project, product, and process, perhaps even incubated a business. Candidates must be involved in the professional woodworking industry, and be 40 or younger by Dec. 31, 2019. Candidates stand out for accomplishments in these categories: productivity, profitability, social good (locally or globally), ingenuity, innovation, peer inspiration, product development, organizational leadership, or other facet of the professional woodworking industry. Nominating is free, and is open through May 10. The 2019 honorees will be selected by Woodworking Network’s editorial team. 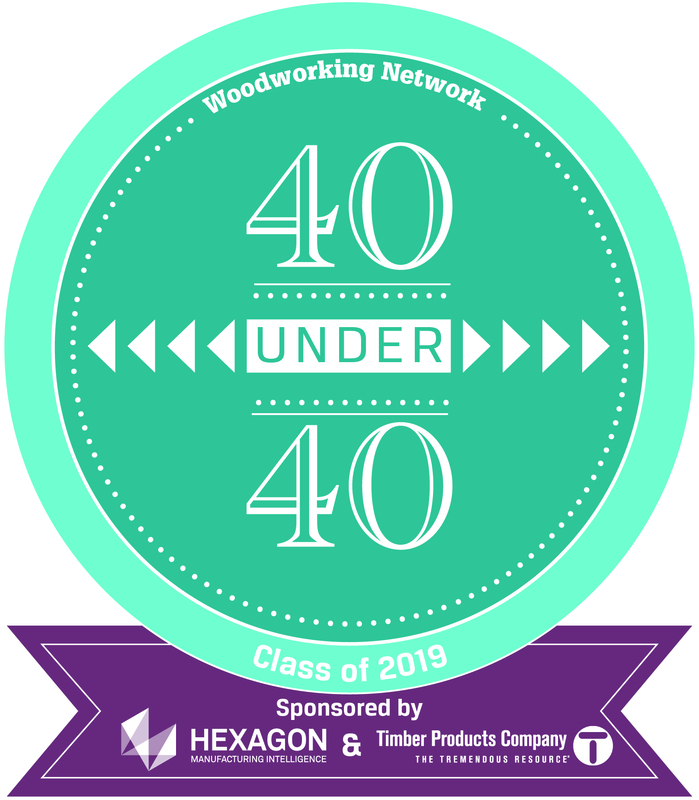 The 2019 Wood Industry 40 Under 40 is sponsored by Timber Products Co. and Hexagon Manufacturing Intelligence: Cabinet Vision and Alphacam. Click here for more information about the 40 Under 40, or to view past honorees.